I drove past this kid a few days ago. He couldn’t have been older than 16. 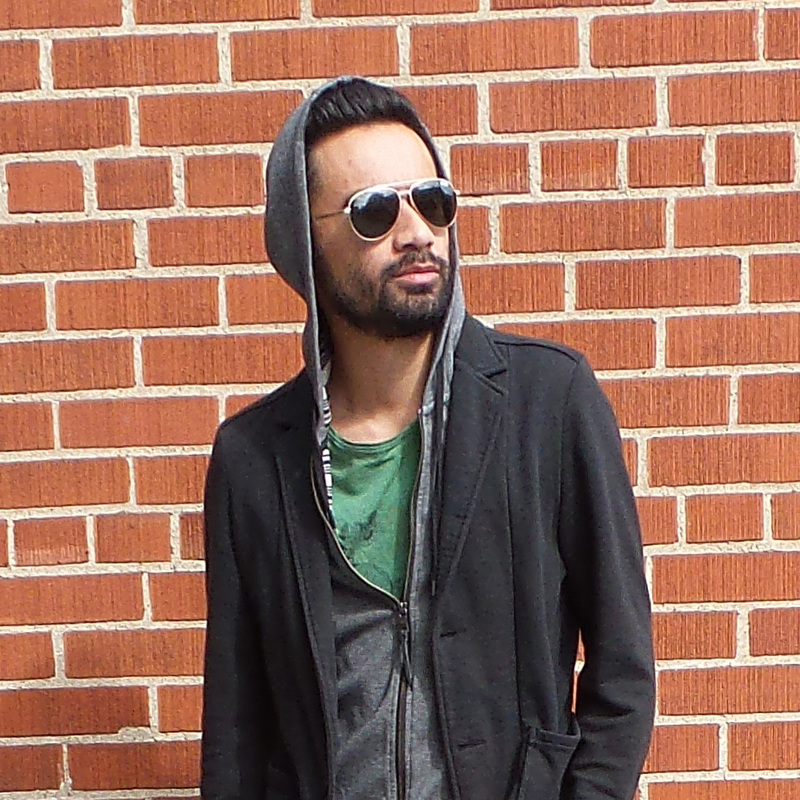 He was dribbling his basketball down the street, lagging behind his friends. He did the occasional jump shot, presumably for the repetition of working on his form, but most likely to break the monotony of dribbling. Kid stuff, you know. I drove by him in the new, dark red 2016 Land Rover LR4. The kid froze. Gripping his basketball, his jaw hit the sidewalk as his head turned synchronously with the speed of the vehicle, eyes locked on the awesome exterior of the LR4. It’s like nothing in his young world mattered anymore. It’s like he found purpose. Hah, or maybe not. The new 2016 Land Rover LR4. One of those vehicles that emphasize showmanship and meticulous refinement. It drives as good as it looks. And for this test drive, my girlfriend @madalinezanni and I were on our way north for the annual fall drive to Caledon for the Niagara Escarpment. 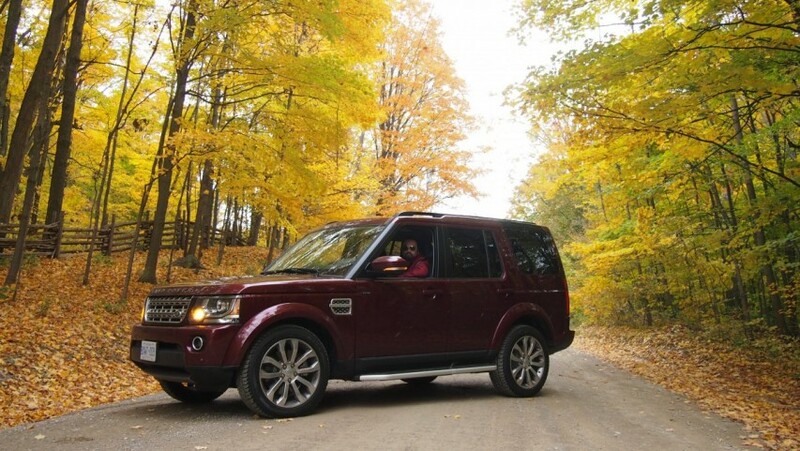 Lush autumn scenery meets the terrain-ready LR4. Lets do this. The LR4 is on par with some of the best almost-military car designs on the market right now. With smoother contours and other minor tweaks than its elder years, this new modernized take on the traditional Land Rover’s continues its seemingly trademark visual presence into the new year. This Montalicino Red LR4 sat on boss-level 20″ forged alloy rims, which adds to the already tall 74″ frame. I was sweating entering every underground parking entrance, but never had an issue. It looks far different than its more compact predecessor, the Discovery (check our my Discovery Sport review here), which starts at around $20,000 less. However at the $70,000 range, the LR4 includes numerous improvements worthy of the price hike. The interior finish is crisp. Surprising to most, the console includes a Cooling Box for your non-alcoholic beverages on your longer journeys. Oddly enough, it can’t fit a simple bottle of water vertically, but it can take 4 slim cans of pop snug and fitted. It’s such a handy feature on your summer drives, too. Stuck to the centre of the busy console is the traditional analog clock. It adds a worthy contrast to the technological pile-up which every new vehicle carries. A vehicle time piece can be just as important as the one on your wrist. Unfortunately the rest of the console didn’t provide much else for storage, which resulted in a pile of random cables, phones, battery packs, coffee cups, and other stuff piled onto the centre console. In hindsight, as cool as the Cooling Box is, I would’ve preferred better storage facilities. The LR4 will probably be one of the larger cabins compared to most SUVs you’ll get behind. With three rows of seating for up to 7 passengers, that evenly align with the three sunroofs above, the amount of headspace and leg space is more than ample (well, at least for the first two rows). You can also drop both back rows down to haul any large items comfortably. There are two nominal yet crafty additions to mention. First are the arm rests on the front seats, which can be angled at any position based on your preference. Useful to get in the right position on a road trip. Second is the design of the space between the driver and passenger side doors and the seats. The small gap can catch anything from keys or your phone from your pocket and slip it back into the car into a door pocket. Lovely touch since this happens all too often. 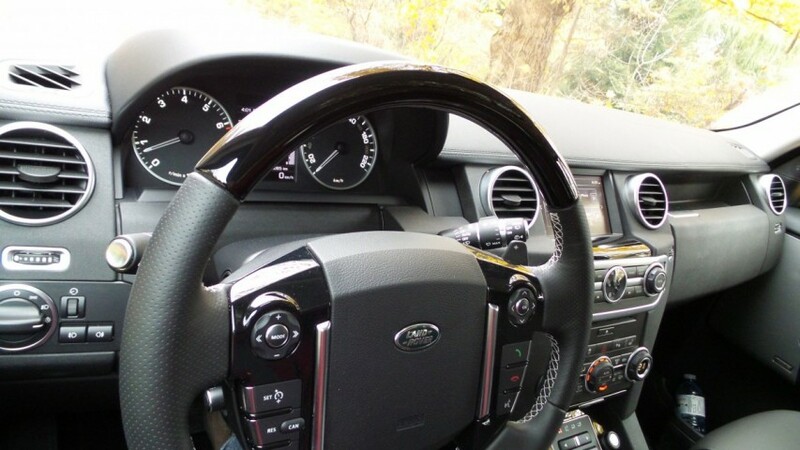 The LR4 is packed to the rim with extremely useful technology, which aligns with most of the Jaguar/Land Rover fleet. Getting into this hulk of an SUV may require the use of the side steps, especially if the car appears to tower over you. Once on the road, you’ll notice the incredible maneuverability and handling for such a large vehicle. I personally had a ton of fun driving this, even over the Land Rover Discovery Sport, but that mostly has to do with the upgraded engine and added horsepower. You can really gun it when you’re behind on the clock. It can zip through traffic smoothly, and when the road gets a bit more concerning, switching the Terrain Response allows for a noticeable change in comfort and power. Other notes include the blind spot indicator, which can be easily spotted in your peripherals, especially when it flashes rapidly when a makeshift race car driver attempts a daring pass. The fuel economy is in-line with most SUVs at this size and at a fuel tank sized to 86.3L, it can pack a heap at premium for quite some time. This SUV was meant for the families with multiple kids and the guys that want a menacing truck to rip through the terrains on adventurous excursions. It combines fantastic craftsmanship with all-terrain utility. Like the kid with the basketball practicing his dribbling and jump shots, Land Rover applies that same expectation for refinement and perfection in each model. 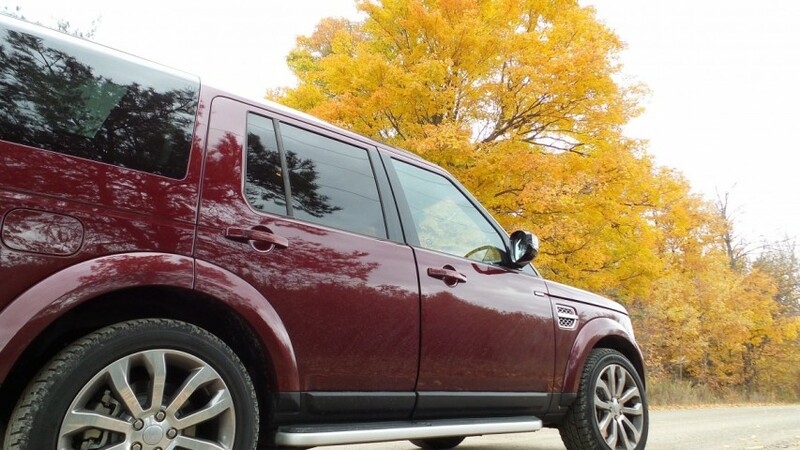 Following this Fall Drive suggestion through Caledon, we took the LR4 towards the Niagara Escarpment for the lovely foliage surrounding the windy roads and the scenic views of Toronto. The LR4 is obviously made to impress in every photo it’s in. The dirt roads of the Escarpment lead us through handfuls of stops, where the green trees have already made its way to yellow and red in beautiful unison. If you need proof, feel free to check the gallery below.